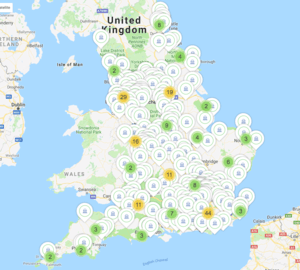 The UK has hundred of crematoriums (or crematoria) and here you’ll find links to lists and maps of all the crematoriums available. A crematorium is a place where people are cremated and cremation services take place but it’s also often a place for funeral services to be held. In the UK, cremation typically means a service involving incineration by fire but increasingly there are more and more options available such as liquid cremation, sometimes referred to green cremation or alkaline-hydrolysis, which is where the body is effectively dissolved rather than burnt. Here are links to crematoria split by country. 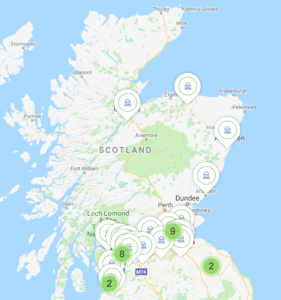 Once you’re on the Death.io Directory you can search for lots of helpful resources including funeral directors and natural burial sites in your local town or region. 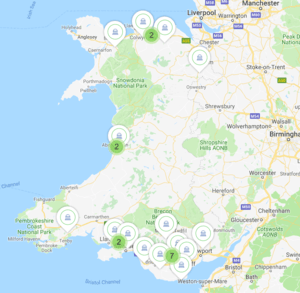 If you’re looking for a crematorium in England then you’ll be able to find the nearest crematorium to you by following this link and searching our Death.io Directory. Crematoriums in Wales are located predominantly in the north and south of the country. To find one near to you, simply search the Death.io Directory by clicking the button below.